Next-generation processors need next-generation connectivity to keep pace with the growing demand for bandwidth even as space, weight, and power savings become critical. 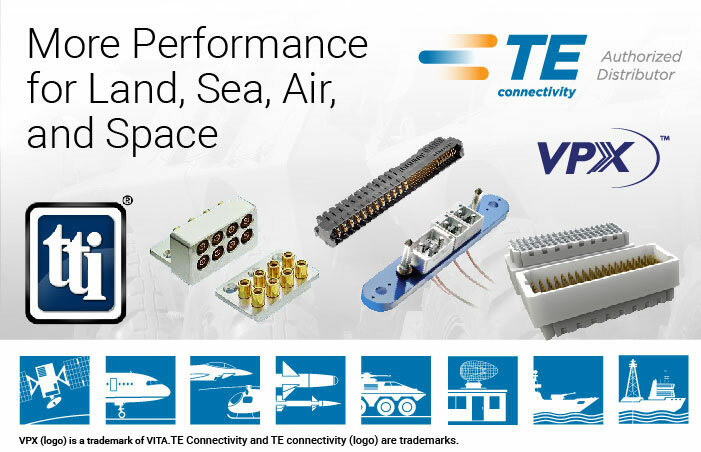 TE’s portfolio of VPX systems gives you a complete array for high-speed data, optical, RF, power, and mezzanine connectivity. More choice means more flexibility in achieving specific system architectures with standards-based solutions. Get the high-speed signal integrity advanced applications require in rugged, reliable connectors.